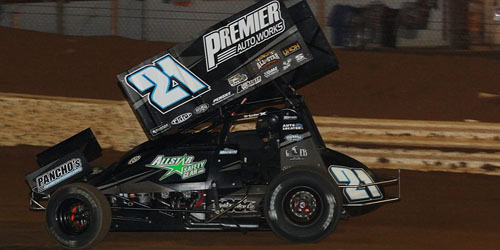 Lonnie Wheatley, TULSA, Okla. (April 7, 2015) – Paul McMahan continues to hold down the top spot in STIDA Winged 410 Sprint Car Power Ranking going into a trio of World of Outlaws events this week beginning with Wednesday night’s Placerville card and then a Calistoga double on Saturday and Sunday. With the Outlaws idle this past weekend, the top 13 in STIDA Winged 410 Power Rankings remained the same with Dale Blaney the first mover by advancing a pair of positions to 14th after a top-five finish in Saturday’s All Star opener. After picking off his second Lincoln Speedway win in a row, Brian Montieth climbed three positions to 17th with others breaking into the top 25 including Tanner Thorson (after his first Sprint Car feature win at Chico on Friday), Danny Dietrich and Attica All Star victor Ryan Smith. Also in the Top 50: 26. Aaron Reutzel (1) 42, 27. Danny Holtgraver 38, 28. Chad Kemenah 36, 29. Tim Shaffer 33, 30. Craig Dollansky 32, 31. Shane Golobic 32, 32. (tie) Freddie Rahmer and Christopher Bell 32, 34. Roger Crockett 31, 35. Henry Van Dam 31, 36. Kyle Hirst (1) 28, 37. Austin Hogue 28, 38. (tie) Steve Buckwalter, Cory Haas and Lucas Wolfe 28, 41. Carson Macedo 28, 42. Kyle Larson (1) 27, 43. Logan Schuchart 26, 44. Andrew Palker 25, 45. Alan Krimes 24, 46. Wayne Johnson 23, 47. Gerard McIntyre, Jr., 23, 48. Bud Kaeding 22, 49. Greg Wilson 22, 50. Kyle Moody 21. The STIDA Winged 410 Sprint Car Power Rankings are a part of the Open Wheel Power Rankings that also includes Infinity Shocks Non-Wing 410s, Rod End Supply Winged 360s, Beaver Stripes Non-Wing 360s, Midgets and 305s presented by Dodge City Raceway Park. 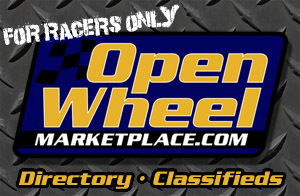 Title sponsorships are available for the Midget and 305 Power Rankings.